Do you trust your janitorial provider? A business and janitorial provider must fully trust one another for both parties to truly thrive. Every person in the country is affected by the work done by the many government departments and agencies across the United States. They perform vital services and duties that affect almost every aspect of our daily lives. In performing these duties and responsibilities, they deal with a vast amount of highly confidential information. This ranges from internal communications, details of citizens’ personal and confidential information to a host of others sensitive documents. Like any place of work, these offices have to be cleaned regularly and effectively. The big challenge here is security. Government institutions need to find quality and reliable cleaning and janitorial services that can be trusted to work in this sensitive environment. Security must be a top priority for the company, but, at the same time, it needs to provide professional office janitorial services. This is a tough task the office managers and senior officials need to take very seriously. Security is of the utmost importance and cannot be compromised in any way. You cannot just hire any janitorial company and hope for the best. The consequences of any of this sensitive and confidential information falling into the wrong hands could have far-reaching and devastating effects for both the institution and the citizens. Identity theft is just one of the many security concerns. Physical theft is another concern. You don’t want electronics or other items disappearing from the office. 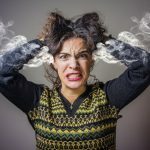 This is why a reputable and professional cleaning company exercises due diligence and has a rigorous vetting process for all staff. Strict and thorough screening and background checks are done on all staff to make sure they don’t pose any security risk. They are regularly reassessed and closely supervised, particularly in sensitive environments. There can be no shortcuts in this procedure, no temporary staff, and no compromise. A good office janitorial services company will also regularly train staff, pay them well, and look after them to guarantee long-term loyal staff the company and client can trust. Staff in such institutions will be clearly identified by their uniforms and photo IDs. 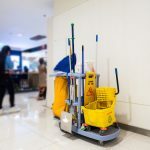 Some ground rules need to be established between the government departments and the cleaning and janitorial services company to determine the most effective and secure way to conduct the janitorial services. Some responsibility must be taken by the government institution itself and internal security policies must be followed. Sensitive documents should be in locked filing cabinets and discarded documents shredded or disposed of in some other secure fashion. 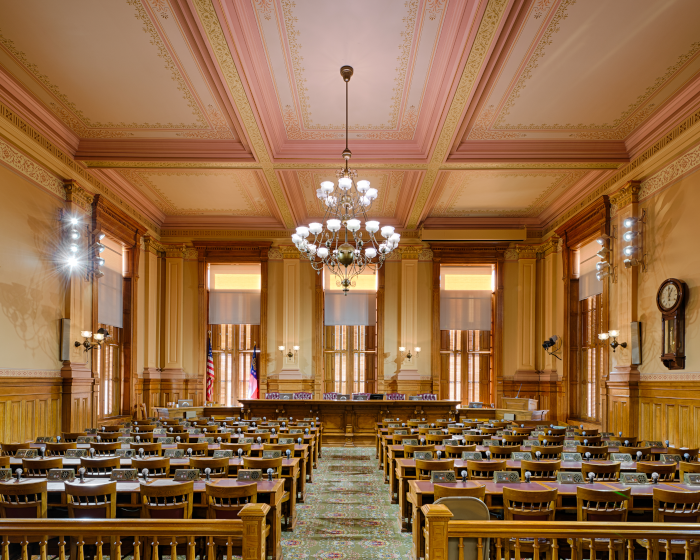 Certain areas might be off limits altogether, while others might require a government employee to be present while cleaning occurs. This can all be negotiated. Training is extremely important, and staff should be thoroughly trained in not only effective and correct cleaning procedures, but also in security awareness. Training should be of a high standard and ongoing. A high quality, professional cleaning company will be flexible enough to work with the government agency to determine the best way of achieving effective janitorial services while always maintaining perfect security. A comprehensive cleaning plan must be drawn up that details exactly how the processes are to be managed. Obviously, some areas are less of a risk than others. The plan needs to follow to exacting detail so everyone knows who is responsible for what, in what area and at what time. This process must be closely managed and supervised. In selecting the commercial janitorial provider, the government institution will have to exercise its own due diligence and do its own background checks on the company. Quite a bit of information can be gathered online- experience counts for a lot. A company that has been around for many years is clearly doing a good job and has a proven track record. The government department should ask for references from similar environments that require efficient cleaning as well as a high level of trust. It should also meet with the company to determine its policies on staff selections, vetting, training, supervision, and any other factors of relevance. Most institutions or organizations are aware of the risks and threats and take security seriously. Most of the focus these days is on data security. While this is extremely important and is indeed a major risk, it often makes people forget how much confidential and sensitive information lies around an office. While speaking of data security, do not forget to factor office janitorial services staff into your data security protocols. A sophisticated syndicate that has infiltrated a cleaning company that has not vetted staff effectively could have the knowledge to compromise data security as well as physical documents. The IT department needs to build this risk into its security plan to prevent this risk. The level of risk the threat against security is not going to go away. If anything, it will only get worse. That is why it is imperative to find the right office janitorial services, one with integrity that can be trusted. At the same time, do not lose sight of the main reason it is there: to ensure the office is always clean. It is a proven fact that clean offices are more efficient and productive. It leads to improved staff morale and greater efficiency. A common buzzword in many office environments, particularly those with sensitive and confidential information, is the “clean desk policy.” This requires employees to take some personal responsibility for the tidiness of their workspace and the security of their documents. To put it simply, a clean desk policy involves reducing clutter and ensuring all documents are filed, stored, and secured safely and not left lying around on the desk or in the inbox. If the staff and office janitorial services company work together, there should be little to no risk or security threat. To speak to a company with many years of trusted experience in dealing with efficient cleaning of sensitive institutions, give iNX a call today. Staff members will advise you on how they can always keep your government institution clean and tidy without compromising security.